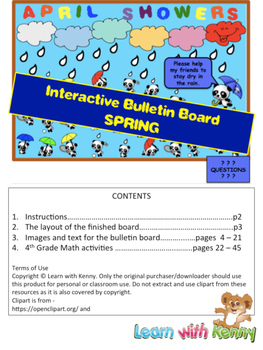 This kit contains all the images and text you will need to create a colorful interactive bulletin board for your classroom. There are four weekly activities included. Question cards are placed in an envelope hanging at the bottom of the board. 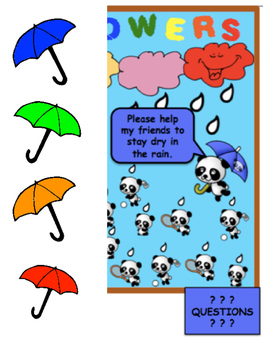 The colored pictures and text are sized for printing on letter size paper, but can also be printed on A4 size paper. 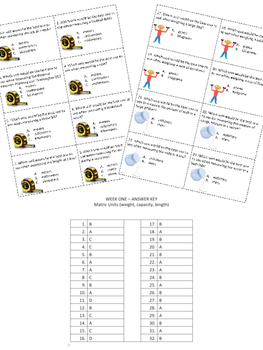 There are four weeks of 4th grade math activities included in this kit along with four worksheets, one for each week. 4th grade math activities are included, but you may prepare your own sets of questions for any subject, any grade level. Copyright © Learn with Kenny. Only the original purchaser/downloader should use this product for personal or classroom use. Do not extract and use clipart from these resources as it is also covered by copyright.